Ofir Leitner is the founder of the Israel Mobile Summit and the Madrid Mobile Summit, two of the most influential tech events in Europe. The Summit’s latest edition attracted 2,000 professionals from the mobile, games, adtech and VC industries. The Summit is supported by the biggest tech corporations including Google, Facebook, Twitter and more, and features senior speakers and entrepreneurs from leading mobile companies. In addition to the Summit, Mr. Leitner also brought to Israel European event brands such as DroidCon, CodeMotion and MobileMonday Tel Aviv, that became the leading mobile community in Israel and one of the most active mobile communities in the world. Previously to his events career, Mr, Leitner was a founder of Game Array, a mobile games startup that received $3M in funding from a top-tier VC (JVP) were he served as Founder & CTO. In addition Mr. Leitner served as a consultant to various startup companies and also to big corporations. 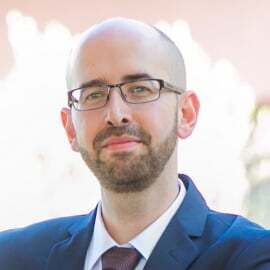 Mr. Leitner holds a BA in Computer Science and an MBA (Business Administration), both from the Technion, the Israel Institute for Technology.